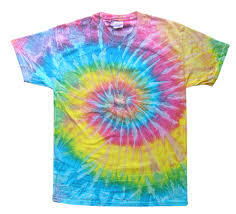 Get creative over the Easter holidays in this fun filled Tie Dye Workshop. The children will practice a few different techniques of Tie Dye on samples so they can choose which pattern they like the best before making their t-shirts and/or bags. They will make and take home 2 items, either 1 t-shirt & 1 bag, 2 bags or 2 t-shirts.